It’s easy to look at President Trump’s use of Twitter and make all kinds of proclamations about the first Twitter presidency. There’s no doubt the definition of the bully pulpit has undergone a dramatic reinvention under this White House. But Trump didn’t invent the use of social media as a way to connect directly and authentically with his electorate. That honor goes to Cory Booker. Booker began his political life as a politician with a grassroots ability to walk out his front door and engage with his constituents in Newark, N.J. If you want to understand where Booker comes from, find an online copy of Marshall Curry's amazing documentary “Street Fight.” (Netflix, Amazon Prime for $2.99, iTunes for $3.99). “Street Fight” is a 2005 doc chronicling Booker's 2002 campaign against Sharpe James to become mayor of Newark, N.J. It screened at the 2005 Tribeca Film Festival and was nominated for an Academy Award for Best Documentary Feature. It should have won. Any student of Booker's Twitter feed knows he can be politely described as a tweet addict. He'll post inspirational messages, make sometimes corny jokes, engage in serious discussions about policy issues, and tell constituents how to report crimes and broken street lights. He had 1.4 million followers in 2013. Today he has over 4 million followers. 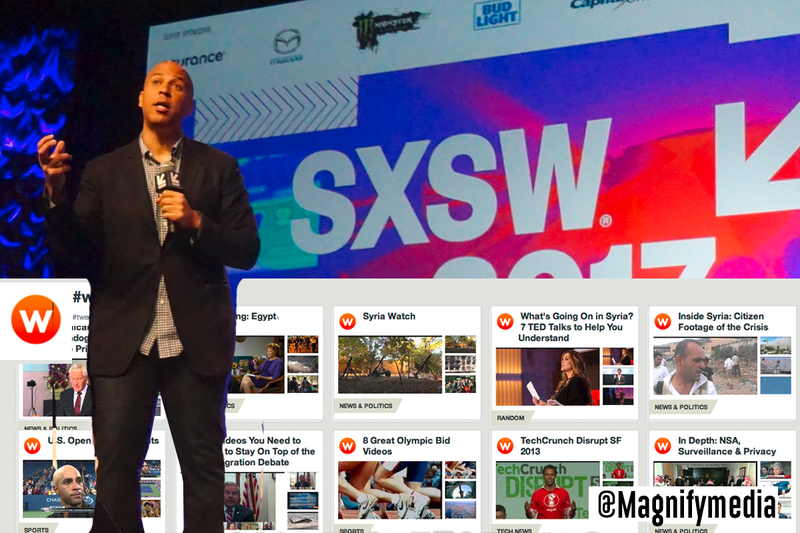 When Booker looked out on the media landscape, he saw with clarity that where people were connecting and communicating was changing. Millennials in particular were increasingly using video as both their voice and a source of community and conversation. In June 2012, Booker announced Waywire. “Video is a powerful tool and a democratizing force that’s being embraced by the digital generation in ways that my generation couldn’t imagine,” said Booker at the time. To make his idea for Waywire a reality, Booker recruited two co-founders with deep digital experience: CMO Sarah Ross, formerly of Yahoo, and CEO Nathan Richardson, former head of Dow Jones online. Booker was right about the missing voices and the need for a platform with a purpose. He wasn’t early; he was right on time. At the time, the media questioned how a mayor could also be a startup founder, but today Donald Trump’s blurring of the lines between politics and business make those questions seem out of touch. Had Waywire and Booker stayed the course, would Reddit’s R/The_Donald or InfoWars or Breitbart be so clearly leading digital voices? One could imagine more voices and more progressive conversations on a modern video-centric platform led by Booker. Instead, New Jersey politics intervened. Chris Christie, fearing Booker as a gubernatorial contender, moved up the election of the Senate race, and Booker had to focus on a national stage. In 2012 my company reached out and merged with Booker’s Waywire. But politics is hard, and monetizing politics is harder. One thing is clear. Booker was right about Twitter. He was right about connecting with his constituents on a human level, and he was right about video’s growing importance as a platform to connect and communicate. As the 2020 race heats, up I can only assume his passion for social media and video remains high on his list of tools to deploy. So watching his campaign for his unique brand of socially connected candidates will certainly be timely and relevant.